Marie White, 22 years young, and a girl by her own admission. A girl who enjoys making music, hanging out with her girlfriend, and writing about herself in the third person. 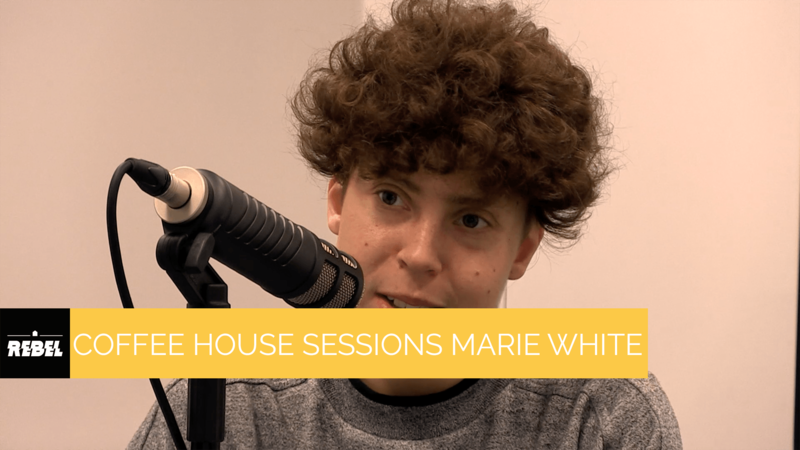 Reluctantly accepting many of the requests to ‘move along’, Marie started busking in Rye at the age of 15, performing soulful ballads, most of which were written during the early hours of the morning in her family home. Marie has played a number of different shows in the past 6 years, rarely venturing too far outside of her home town of Hastings in Sussex. It would be fair to say that she has created quite a name for herself down by the sea! Describing herself as ‘an accidental musician’ she finds it hard to take a step away from her passion. She doesn’t want to write, she needs to write. Marie still remains true to “The 30 minute rule”… She states that if a song is not fully formed within an episode of Eastenders, then quite frankly it’s time to turn over to ITV2! Marie has recently been in the studio with producer Hugh Worskett (Will Joseph Cook, Rae Morris, Birdy) working on her debut single “I Want To Know You”, which is due for release in early 2018.